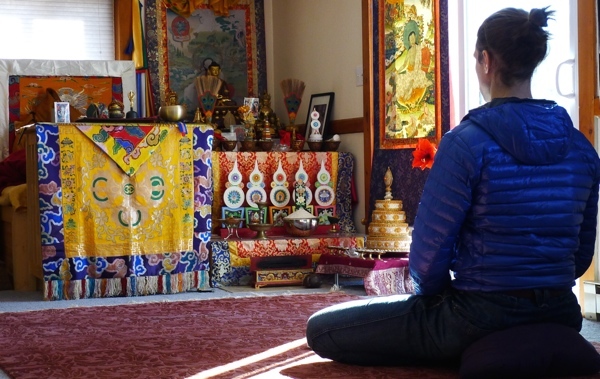 Most of us started meditating for the wrong reasons, and fortunately, we missed our goals. We wanted to levitate and read into people’s mind like an indian yogi, so we spent hours on a cushion, only to realize the embarrassing banality of our megalomaniac projects. We wanted to make peace with ourselves, but even after years investigating our mind, we couldn’t find anybody to make peace with. So we ended the war. If by any chance we managed to develop some insight through our practice, we discovered that wisdom results in no certainty at all. Meditation can be called a rip-off, because it won’t give you what you paid for, it gives you something else, something you can bring everywhere with you. It’s hard to complain. so….after all, what do you get? just curious. for now i simply enjoy the activity, the fact that I give myself a reason to stop and try not to think for a while.